Trust the logistics professionals of Piedmont Moving Systems to plan and carry out the processes that your company requires. As an agent for Mayflower Transit, one of the top carriers in the industry, we have a well-trained and professional staff that guarantees that your logistics management operation is carried out smoothly. Our San Jose movers can perform the services that other logistics companies aren't equipped for. We specialize in the safe transport of high-value equipment and trade show exhibit materials, and we'll work with you to create target dates and times that meet your schedule. As an agent for Mayflower, we have access to the largest fleet of air ride and liftgate equipped moving trucks in North America to better perform the logistics services you need. We won't trans-load or cross-dock your freight - your items will load once and deliver once on the same truck, minimizing both cost and liability. We own 100,000 square feet of warehouse space in San Jose, which is used as a storage location, receiving point for both raw and finished materials and an inventory / project management headquarters. We also have access to over 700 affiliated Mayflower warehouses throughout the country that can support your move or project with local warehouse services. We love special projects and welcome your call to discuss your moving needs. Trade Show Logistics: We will coordinate the safe transport of your exhibit and provide additional set-up services. White Glove Delivery: Piedmont Moving Systems handles the white glove delivery process with pride and panache - contact our company for comprehensive home delivery services. Store Fixtures: Piedmont Moving Systems - San Jose's most trusted moving and storage company - is the industry leader in transporting store fixtures. Contact us to learn more about this service. Blanket Wrapped Services: Piedmont Moving Systems spares trees and prevents the accumulation of trash with our blanket wrapped services. 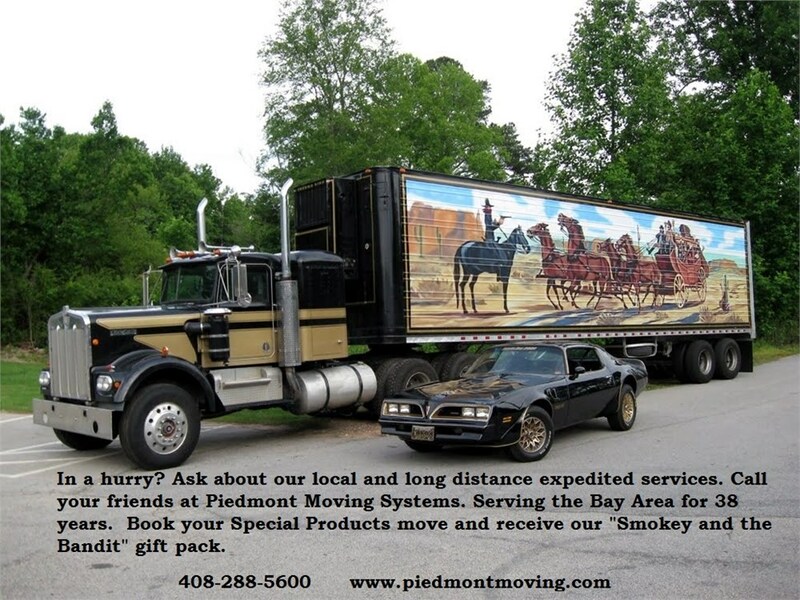 Click to learn more about Piedmont Moving Systems and our blanket wrapping transport services. Piedmont Moving Systems is the San Jose logistics company you need to make logistics easy. To learn more about our logistics management services, get in touch with us today by filling out our quick quote form to receive your FREE estimate or giving us a call. We can go the extra mile and perform the services that other logistics companies aren't equipped for. Get in touch today to learn more about our logistics services.